Washing machine gone wrong? Fed up with paying for repairs and waiting days for an engineer to call? Rely on your appliance and need it back up and working fast? Live in Grimsby, Immingham or the surrounding area? SAME or NEXT DAY Service - Fast repairs! Which washing machines do you have for rent? Looking to rent a number of items? 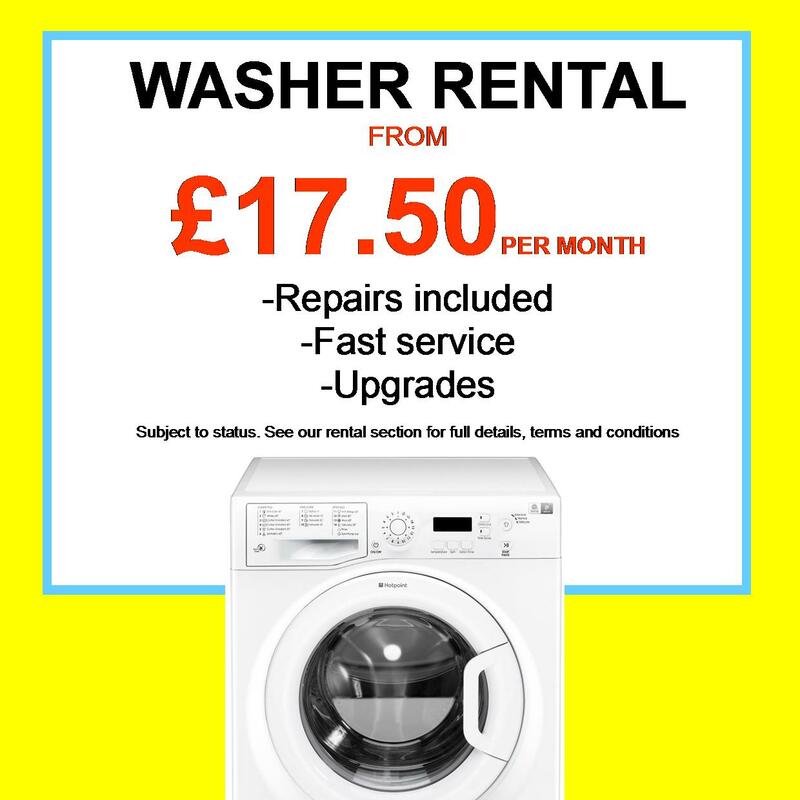 We rent lots of appliances - Washing machines, tumble dryers, electric cookers, fridge freezers, dishwashers, LED televisions vacuum cleaners and more! Ask us about our rental package offers! *Subject to minimum period of rental. First months rental and £24.95 (£39.95 for electric cookers) delivery and admin fee payable in advance. Quality refurbished products minimum period of rental 12 months. Brand new products minimum period of rental 17 months. Subject to status, written details available on request. Terms and conditions apply see in store for full details. Actual product may vary from illustration, dependent on availability. Got a question about any product or order? Why not come and see us?